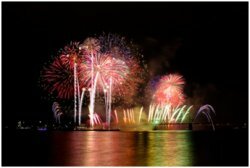 "; part1 += " "; part1 += "
" + document.title + "
\n"; var dt = new Date(); part2 = "
© " + dt.getFullYear() + " IAGLCWDC. All Rights Reserved. "; part2 += "
Attention users of Internet Explorer version 10! If the rainbow-colored pulldown menus above do not work, you must select Compability View. To do this, select Tools, then click Compability View. PLEASE TAKE NOTICE: Registration and attendance at, or participation in, IAGLCWDC meetings, events and other activities constitutes an agreement by the registrant or attendee to IAGLCWDC's use and distribution (both now and in the future) of the registrant or attendee's image or voice in photographs, videotapes, electronic reproduction and audiotapes of such events and activities. For those who arrive early or stay longer, we are arranging some extra activities for your enjoyment. However, each of these extra activities requires an additional ticket to be purchased. Or in the case of the group dinners, you will make a reservation through our online system and then pay for your meal as usual at the restaurant. 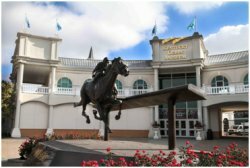 Reservations and tickets may now be purchased by all Hoedown account holders whether registered for the Louisville Hoedown or not, unless the deadline for the item has passed. Register for The Louisville Hoedown if you have not already done so. Then log back in to your account. eg: Dinner Tickets, Tour Tickets, etc. Thursday, July 5 - Thursday Night Group Dinners Choose one from 6 different restaurants. * There may be a few left-over tickets available on-site but we can't guarantee it. A special event for those arriving early. 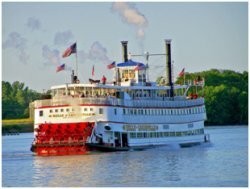 IAGLCWDC has secured Reservations on the famous river boat Belle of Louisville. We will board the "Belle" at 8:00 and return after the fireworks. The Belle will have cash bars and a dance floor. IAGLCWDC will be sharing some music for your favorite dances. The boat dock is a short walk from the Hyatt Regency. $25 per person. Viewing of the "The Greatest Race", a 360° 18-minute media experience that will make your heart race and emotions soar. Access to the Gift Shop and Derby Café. 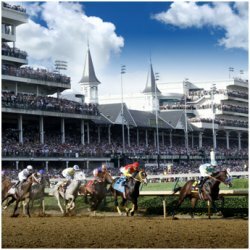 Our afternoon tour includes transportation to and from Churchill Downs. The bus departs the Hyatt Regency at 12:30 p.m. We will return to the Hyatt at 3:30 p.m. $35 per person. Details provided prior to convention week. Group dinners have been organized so that you will have the opportunity to sample a unique restaurant in close proximity to the Hyatt Regency. IAGLCWDC has made reservations at the following restaurants. Links to menus are included. Reserve your choice online with us and we will confirm with the restaurant. You will receive an initial email once your reservation is accepted and a confirmation the week before our event. Each individual is responsible for their own check at the restaurant. All reservations are for 6:00 p.m. If you are arriving later, please email Jim Chakeres and we will attempt a later time for you. Click the name of the restaurant to view its menu in a new window. An itinerary will be available at Registration on Thursday. We plan to stop at 4-6 bars. No charge. Buses depart the Hyatt Regency beginning at 7:30 p.m. and will run a continuous loop until midnight. Our final destination for the evening will be PLAY Nite Club. PLAY welcomes IAGLCWDC and the DJs will be playing your favorites. IAGLCWDC explores what made Louisville and Kentucky famous. Learn the history of this truly American spirit as we visit three urban distilleries. We begin our experience at The Evan Williams Experience. 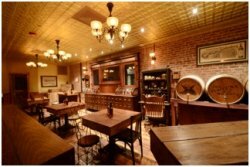 Evan Williams is rich in history and their tasting rooms are classic. We will sample 3-4 bourbons with a guide explaining the bourbon tasting process. The second stop along our way will be the Old Forester Distillery which will be opening just prior to our arrival in Louisville. 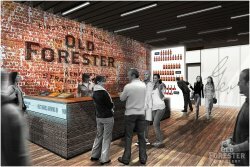 This new bourbon and tourism experience in the heart of Downtown Louisville, celebrates Old Forester Kentucky Straight Bourbon Whiskey. The state-of-the art facility harkens back to the heritage and authenticity of America's first bottled bourbon. IAGLCWDC is the first to secure a reservation at this new experience on "Whiskey Row". Our final stop is the Jim Beam Urban Still House. At Jim Beam we will participate in a Bourbon Cocktail class with an expert mixologist - cocktail included! Each distillery does have a gift shop where product may be purchased. This will be a walking tour with a 10 to 15 minute walk between each establishment. We will depart the Hyatt Regency at 12:45 p.m. and return by 5:00 p.m. The price of $45 per person includes tastings and/or cocktails at all three locations.